Red Bull Salzburg came within a whisker of getting to the Europa League final where they would come up against Atletico Madrid. And one of the key components of that successful Salzburg squad has been South Korean attacking player Hee-Chan Hwang. Hwang began his career at Poohang Steelers in the South Korean K-League before leaving Korea for Austria where he joined FC Liefering in January 2016. Hwang did enough at Liefering to catch the eye of Austrian powerhouses Red Bull Salzburg, becoming a Salzburg player in 2015 after hammering in 13 goals in 31 appearances for the small Austrian side. It is his time at Salzburg where he has really started to catch the eye of Europe’s biggest clubs with news breaking recently that both Tottenham and Liverpool have been sending scouts to run the rule over him. A key moment in the interest-piquing was his performance against Italian side Lazio in the Europa League quarter-finals where he scored a key goal to help Salzburg reach the semi-finals. It has been reported that any team willing to take the plunge to bring Hwang to their club will only need to pay £13 million. This would be a massive bargain in today’s transfer market where players go for fees in excess of £30 million and when you add in that Hwang has recently just signed a new contract with Salzburg until 2021 then attempting to sign him is a no-brainer. He would face stiff competition to play as the main striker at Spurs because there is no way he will be keeping Harry Kane out of the starting team but like his international teammate Son, he can play as a wide striker. 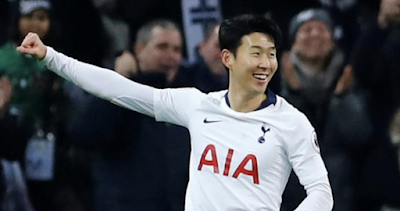 At Liverpool it is possible he may have more chance of playing the striker role in rotation with Roberto Firmino because Klopp prefers a very fluid front 3 who are interchangeable, Hwang would be a better fit with this system than that of Spurs’. Whichever team manages to get Hwang in the next transfer window will be getting an absolute bargain without question.